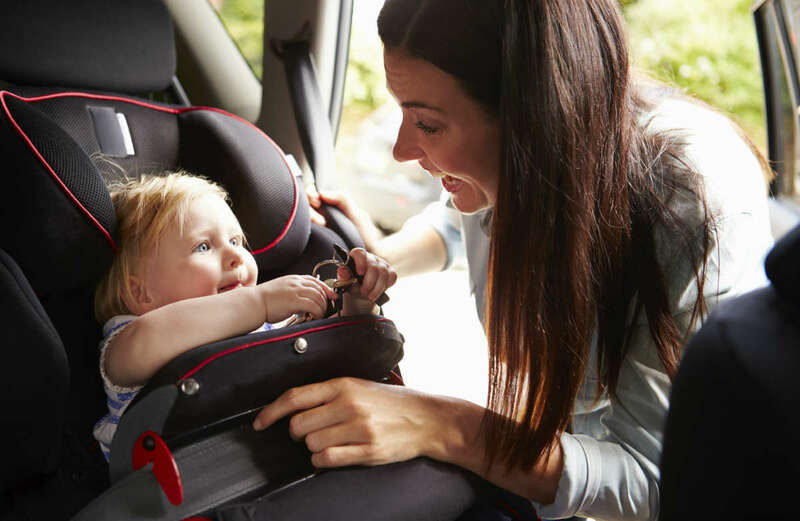 Many child passenger fatalities resulting from car accidents can be prevented when child safety restraints are used properly. Car accidents are one of the main causes of death of children in the United States. However, many child passenger injuries can be prevented when car seats are correctly installed in a car. For babies between 0 and 12 months old, use a rear-facing infant safety seat. For children between 12 months and 4 years-old, it is mandatory to use an appropriate safety seat (generally forward facing – see these guidelines). For children ages 4 – 8 years-old, use a booster seat, which you can fit into the car according to requirements and recommendations. For children older than 8 years old, they must use a regular seat belt. According to a study lead by the National Highway Traffic Safety Administration, it was discovered that the risk of getting injured in a car accident was reduced for children who were correctly positioned in an appropriate safety seat. On the other hand, children who were not seated properly were eight times more liable to be injured. Use the correct safety seat for your child to prevent serious or even fatal injuries from occurring. It is also important to use the proper seating position, in order to keep you child safe in a car accident. Incapacitating injuries in car accidents are more likely to happen to children sitting in the front, than for children seated in the back seat. According to the American Association of Pediatrics, it is recommended that a child seat is positioned in the center of the rear seat. This positioning reduces the risk of injury, in comparison to the positioning on the outer sides of the rear seats. There are some important recommendations regarding the positioning of children in a car, in order to prevent them from getting injured in an automobile accident. The main recommendation is to seat children in the rear seats and the restraint system to work and be used properly. Young children need to be positioned in the center of the rear seat, using a safety seat. Additionally, the safety seat needs to be provided with a belt, which should be securely fastened before moving the car. It is a parent’s responsibility to ensure the child is seated comfortably and safe in the safety seat. Older children need to be seated on the rear seats, with the seat belt fastened accordingly before moving the car. It is important to correctly fasten the seat belt, so that it is neither too loose nor too tight. These tips provided by The Hoffmann Law Firm, L.L.C. If your child has been injured in a car accident caused by another person’s negligence, contact a St. Louis car crash lawyer from The Hoffmann Law Firm, L.L.C. to give you legal guidance.